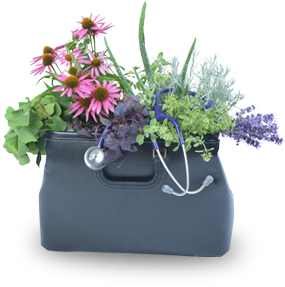 Boucher is a graduate level naturopathic medical college. A degree and no less than 90 credits overall from a recognized or authorized Canadian or a regionally accredited American post-secondary institution is required for entry into the program. For credentials earned outside of Canada and the United States, a “comprehensive evaluation” must be completed from either International Credential Evaluation Service (ICES) or World Education Services (WES) and must demonstrate equivalency to a North American degree. According to both PTIB bylaws and Boucher Institute policy, minimum program admission requirements may not be waived. Please review all the tabs. For further assistance do not hesitate to contact Boucher Admissions at admissions@binm.org or 604-777-9981. The Boucher Institute of Naturopathic Medicine calculates a cumulative grade point average for all courses that constitute a degree. For a candidate to be considered a competitive applicant, the Admissions Committee expects a degree with a minimum cumulative GPA of 2.7. For candidates who have a cumulative GPA below the expected minimum, but who have completed additional degree(s) (i.e. : a second Bachelor’s degree, a Master’s degree, Doctorate, or first professional degree), the Admissions Committee may take additional education into consideration when assessing academic preparation. Applicants must show a minimum final grade of 60 percent or ‘C’ in each required prerequisite course. The expected overall minimum cumulative science GPA is 2.5 to compete for the limited program seats. The Admissions Committee expects prerequisite courses to be completed no more than seven (7) years prior to an application for admission. Candidates must be prepared to show that they have kept themselves up-to-date in the sciences. Biology (one full year or 6 credit hours). It is strongly recommended that the requirement be fulfilled by 6.0 credit hours of introductory or general biology, commonly titled ‘Biology I’, ‘Biology II’, ‘Principles of Biology’, ‘General Biology’ or ‘Introduction to Biology’. This requirement may also be satisfied by 3.0 credits hours of general/introductory biology, which can include ecology, evolution or microbiology courses, plus 3.0 credit hours of another appropriate biology, such as botany, cell biology, genetics, zoology etc. Please note: anatomy and physiology courses cannot satisfy the biology requirement. General Chemistry (half year or 3 credit hours). It is strongly recommended to complete a full 6.0 credit hours of general chemistry to prepare for the rigours of the program. Acceptable post-secondary courses are typically titled ‘General Chemistry’, ‘Fundamentals/Principles of Chemistry’ or sometimes ‘Introduction to Chemistry’. A course that satisfies the general chemistry prerequisite explores the basics of structural chemistry, chemical equilibrium and thermodynamics. Organic Chemistry (half year or 3 credit hours). Acceptable courses must have at least 3.0 credits hours of general chemistry as a prerequisite. Acceptable post-secondary courses should be at least 200-level and are typically titled ‘Organic Chemistry’ or ‘Introduction to Organic Chemistry’. A course that satisfies the organic chemistry prerequisite explores the nomenclature, atoms, chemical bonds, and chemical reactions associated with organic compounds such as carbonyl compounds, alcohols, ethers, alkenes etc. The general mechanisms behind basic reactions such as nucleophilic substitution, elimination, addition etc. should be covered, as should the concepts of formal charges, resonance structures, valence shell electron pair repulsion theory (VSPER), valence bond theory, hybridization and molecular orbital theory. Biochemistry (half year or 3 credit hours). Acceptable courses must have at least 3.0 credits hours of general chemistry as a prerequisite. It is strongly recommended that acceptable courses also have at least 3.0 credit hours of organic chemistry as a prerequisite. Acceptable courses are 200- or 300- level and are typically titled ‘Introduction to Biochemistry’ or ‘Biochemistry’. A course that satisfies the biochemistry prerequisite includes the structure, function and metabolism of the four major biomolecules (carbohydrates, nucleic acids, lipids, proteins), as well as provide an overview of basic cellular biology and processes essential to life. Psychology (half year or 3 credit hours). This requirement must be fulfilled by introductory, general or developmental psychology. It is strongly recommended that applicants complete additional psychology or counseling credits to prepare for the rigours of the program. English/Humanities (one full year or 6 credit hours). This requirement may be fulfilled by courses such as academic writing, anthropology, English, history, literature, philosophy, sociology, women’s studies etc. Coursework must include written components that add up to at least 40 per cent of the total coursework. Applicants may be required to write a short essay at the time of interview to demonstrate academic writing ability. Please note: second language courses (Spanish, French etc.) and courses taught in a language other than English may not be used to satisfy this requirement. Prerequisite courses must be at least 100 level to be accepted and must be taken at a recognized Canadian or regionally accredited American post-secondary institution or the equivalent as assessed by either ICES or WES. Lab courses may not be used to fulfill the number of required prerequisite credit hours or be included in calculating prerequisite grades. Lab courses may not be used to fulfill the number of required prerequisite credit hours or be included in calculating prerequisite grades. The Boucher Institute may at its discretion accept prerequisite preparatory courses from other Council of Naturopathic Medical Education (CNME) approved institutions. This option is generally reserved for students who apply as transfer students from other CNME approved institutions. It is preferable for first year applicants to complete prerequisite courses through a recognized or regionally accredited post secondary institution. Students who are accepted into the Boucher program who started a Doctor of Naturopathic Medicine program at a CNME approved institution but are not applying as a transfer student may, at the discretion of the Admissions Committee, be able to use credits completed during the ND program at the issuing institution to satisfy Boucher prerequisites, such as biochemistry, provided at least a 60% or C was attained and the credits earned are at least equivalent to a 3 credit hour of half year course. Courses accepted as a prerequisite may not be used for advanced standing or prior credit recognition Students must provide an official transcript showing successful completion of all prerequisites prior to the first day of the Boucher Institute program. In cases where an official transcript indicating successful completion of a prerequisite course is not available prior to the first day of the Boucher program, with pre-approval from the Chair of the Admissions Committee, a letter sent directly from the Registrar or Records Office of the post-secondary institution where the course was completed indicating a final grade of at least 60% or ‘C’ may be used as proof of successful completion of a Boucher prerequisite until an official transcript has been received. The primary objective of the applicant screening process is to ensure that accepted applicants have made an informed commitment to Naturopathic Medicine. Applicants must be both temperamentally and morally suitable to the profession, and have a reasonable probability of becoming licensed to practice in a regulated jurisdiction. The criteria described below are used in the evaluation of applicants in order to achieve this objective. Be able to demonstrate adequate financial resources to become a full time student for four years. All applicants who have been offered an interview must fill out the Budget Worksheet. All applicants who have been offered a seat must adhere to the Criminal Records Check policy. All applicants who have been offered a seat must adhere to the Immunization and Communicable Diseases policy. Students must also submit a valid and current Standard First Aid CPR-HCP certificate prior to entry into the clinical component of the program. Designate three references to submit a Candidate Evaluation Form directly to Boucher Admissions. Ideally, you should submit one academic reference, one reference from a regulated health-care professional, and one reference from either of the above categories or a past employer/volunteer supervisor. You must have known the referee for a minimum of one year (two years or more is strongly recommended). For more information about reference requirements go to How to Apply. Applicants whose first language is not English must meet the minimum English language proficiency requirements for admission into the Doctor of Naturopathic Medicine program. Please see below for examples of acceptable documentation. Candidates who have completed a Bachelor’s degree (all degree credits) at an institution where the official language of instruction is English, completed secondary school (all grades from grade 8), and received their high school diploma at a secondary school where the official language of instruction is English will meet the minimum language requirement, provided there are no concerns regarding language ability during the admissions interview. Candidates wishing to meet the English language requirement as outlined above must submit an official transcript from all applicable institutions. For programs completed outside of Canada or the United States, an official transcript from the issuing institution must be received in addition to a “comprehensive evaluation” of that transcript from either ICES or WES prior to the first day of the Boucher program. Internet Based Test (IBT): minimum score of 95 overall with a minimum of 23 in each testing section. TOEFL scores over three years old at the time of application will not be accepted. Minimum score of 7.0 overall with a minimum of 6.5 in each testing section. IELTS scores over three years old at the time of application will not be accepted. Depending on seat availability, students who have completed graduate training in a first professional degree doctoral program (such as chiropractic, dentistry, medicine) or other relevant degrees are welcome to apply for advanced standing. Medical Doctors who have passed MCCEE or USMLE (step 1) within the two year limitation will be given automatic credit for all of the Boucher science prerequisites and will receive automatic advanced standing credit for the following courses: Biomedicine, Anatomy, Neuroanatomy, Microbiology, Medical Procedures and Clinical Diagnosis I-III. On a case by case basis medical doctors may receive advanced standing for courses in Naturopathic Counseling and Research. Medical Doctors who have passed MCCEE or USMLE outside of the two year limitation will be considered for advanced standing credits on a case-by-case basis if they have current and valid medical licensure and have been in continuous practice, involved in medical research and/or teaching in a medical school. The Admissions Committee expects courses to be completed no more than seven (7) years prior to an application for admission for advanced standing consideration. Applicants who have passed either the MCCEE or the USMLE Step 1 but outside of the two year requirement will be given automatic credit for all of the Boucher science prerequisites; however, they will not receive automatic advanced standing in the Biomedicine courses. In order to achieve advanced standing in the Biomedicine courses, 60% or above must be achieved on the current final examination for each Boucher Biomedicine course. If a 60% is not achieved the applicant will have to successfully complete the relevant Biomedicine course(s). Medical Doctors who have not passed MCCEE or USMLE will be considered for advanced standing credits on a case-by-case basis. Chiropractors who have passed CCEB or NBCE within the two year limitation will be given automatic credit for all of the Boucher science prerequisites and will receive automatic advanced standing credit for the following courses: Biomedicine, Anatomy, Neuroanatomy, Microbiology, Clinical Diagnosis I-III, Physical Medicine, Naturopathic Manipulation and Practice Management. On a case by case basis Chiropractors may receive advanced standing for Soft Tissue Mobilization, and courses in Nutrition, Naturopathic Counseling and Research. Chiropractors who have passed CCEB or NBCE outside of the two year limitation will be considered for advanced standing credits on a case-by-case basis if they have current and valid chiropractic licensure and have been in continuous practice, involved in medical research and/or teaching in a medical school. The Admissions Committee expects courses to be completed no more than seven (7) years prior to an application for admission for advanced standing consideration. Applicants who have passed either the CCEB or the NBCE but outside of the two year requirement will be given automatic credit for all of the Boucher science prerequisites; however, they will not receive automatic advanced standing in the Biomedicine courses. In order to achieve advanced standing in the Biomedicine courses, 60% or above must be achieved on the current final examination for each Boucher Biomedicine course. If a 60% is not achieved the applicant will have to successfully complete the relevant Biomedicine course(s). ​Chiropractors who have not passed CCEB or NBCE will be considered for advanced standing credits on a case-by-case basis. No more than two years advanced standing will be granted for all applicants and there is no waiver of clinic credits, clinic practicum hours, perceptorship hours, or clinic competencies. All advanced standing students must complete the Boucher Institute’s Introduction to Clinic course prior to starting any clinic rotations. Students who have completed credits at a Council of Naturopathic Medical Education accredited or candidate for accreditation program may apply for transfer into the Boucher Institute Doctor of Naturopathic Medicine program. Students may only apply for transfer into years 1-3 of the Boucher Institute program. To be eligible for admission, all transfer applicants must satisfy the degree and minimum credit requirements, all prerequisite requirements, and all additional criteria for admission with the following exception: students who transfer into year 3 of the Boucher program and provide official proof of passing the Naturopathic Physician’s Licensing Exam Part I (Basic Sciences) will be given automatic credit for all of the Boucher science prerequisites. Students transferring into a point of the program prior to the start of year 3 must apply for transfer credits on a course-by-course basis. May I apply before I complete my degree and/or prerequisites? Yes, you may apply even if you haven’t yet completed your degree/ prerequisites, but do have a study plan that shows that you will have everything completed before the program start date. As long as you have at least 3 credits of Biology and 3 credits of Chemistry, we may be able to start the application review. We have a rolling admissions process, so the earlier you apply, the earlier you will know the decision. In what order do my application documents have to arrive? There is no particular order when your documents have to arrive to Boucher. You may request your references and transcripts even before submitting the application; we create a file as soon as we receive at least one piece of the application. Where can I fulfill the science requirements? Prerequisites may be fulfilled at any recognized postsecondary institution or the equivalent. Credits may be earned either in class or online – it is up to the student to determine what works best for their schedule. Credentials earned outside of Canada and the US require a “comprehensive evaluation” from an accepted service. Important: It is the student’s responsibility to ensure the pre-requisite courses taken satisfy Boucher Institute requirements. It is important to check with the university directly to understand grading policies, particularly the time it takes to submit final grades and process transcripts, to ensure that Boucher Institute deadlines and requirements are satisfied. Some institutions may take as long as six weeks to submit final grades and additional time to process transcripts. Why is biochemistry an admissions requirement? Familiarity with biochemical principles is required to develop insight into how our metabolic processes interact with pharmaceuticals, botanicals and nutrients. The symbols that represent invisible functions within the cell must carry representative value to the student in order to be usable as a visual tool for the mind to see cellular processes. Reasonable understanding of the concepts and knowledge is required for the study of medicine. I have the required prerequisites, but I took the courses more than 7 years ago. What are my options? The Admissions Committee strongly recommends retaking the courses to ensure your knowledge and abilities are current. Based on the discretion of the Admissions Committee, you may be able to satisfy the requirements if you are teaching or working in a profession related to the sciences – for example, you are a practicing nurse, chiropractor etc. If you are able to find a recognized university that allows students to challenge exams, and are able to pass the exam with a score above 60% or ‘C’, then your requirements may be satisfied. *Please note that older science courses may be accepted if they were a prerequisite for a more advanced and recent course. E.g. General chemistry was taken ten years ago, but it was a prerequisite for organic chemistry course, completed four years ago. I have an honours degree in genetics, would this allow exemptions from your courses? Only courses at a graduate or postgraduate university level that show equivalent course content are eligible for consideration of prior credit recognition. No undergraduate courses can exempt a student from study. What is the course load like as a transfer student into year 3 of the program? The curriculum at the seven CNME accredited institutions varies in content, sequence, and total credit hours. These factors affect the course load for transfer students to the Boucher Institute. In many cases, a transfer student will have to complete some courses that their cohort may have completed in years 1 and 2, resulting in a heavier course load in Year 3. If a transfer student feels the course load is too heavy, the Boucher Institute strongly recommends they contact the Dean of Academics and/or Dean of Clinical Studies to discuss the options for better balancing the load. Please note: if applying from an institute without TAM/acupuncture, the transfer student’s graduation will quite likely be delayed by several terms as they cannot begin secondary clinic shifts until TAM I-III is complete. Transfer students will have up to 100 hours of Professional Development to complete in their final two years. Will I be interviewed once my application is complete? Interviews are scheduled at the recommendation of the Admissions Committee. Individual applicants will be contacted if they are selected to move forward in the interview process. The Boucher Admissions Committee conducts all interviews on site and in-person. Under special circumstances, some candidates may be granted permission for a Skype interview. How are successful candidates selected? The Admissions Committee reviews each application in full. Admissions decisions for our seats are based on a composite of information, including but not limited to the interview, personal essay, letters of recommendation, academic standing, educational preparedness and relevant professional and volunteer activities. The Committee’s mandate is to create a balanced cohort for the first year class. Because of our limited class size, not every qualified candidate can be admitted. Applicants who are not selected for their desired cohort year are encouraged to apply again the following year. If I am offered a seat, what happens next? Applicants who are offered seats in the program will be notified by phone or email. An official acceptance letter will be sent by mail, along with two copies of Boucher’s enrollment contract. Successful applicants must sign and return the Boucher Institute file copy of the contract, together with the registration fee and tuition deposit in order to reserve a seat in the program. The 10% tuition deposit will be credited toward the total annual tuition. Details of the payment plan and refund policy can be found on the back of the contract. If I’m not offered a seat do I still have a chance? The Admissions Committee does not disclose the reasons for their decisions. Each application is considered in relation to other applications for the upcoming year. Not every candidate whose credentials meet our stated standards can be admitted. If I’m not accepted, will I be told why? The Admissions Committee does not disclose any of the reasons for their decisions. Each application is reviewed in full, and selecting applicants for our limited seats is a complex process based on a composite of information. Each application is considered in relation to other applications for the upcoming year. Not every candidate whose credentials meet our stated minimum standards can be admitted. How can I improve my application next year? Each applicant is responsible for reviewing the criteria for admission on our website, particularly the section on admissions criteria and requirements. Applicants are encouraged to reapply if they have made efforts to enhance their application either through relevant experience or training. It is wise to check with the admissions office to ensure that your proposed courses are relevant and acceptable. If I reapply do I have to send an entirely new application? Yes. All applicants who did not meet the admissions requirements, were not offered a seat, offered a seat and declined, or offered a seat and cancelled must submit a new application with all necessary fees. It is also the applicant’s responsibility to check our website for any changes to the admissions process or requirements. The Admissions Committee does not defer candidates to a future intake. What is the weekly schedule for students? The weekly schedule is the same for students who start in the Fall or Winter semesters. For the first two years of the program, students have approximately 30 hours of class each week. Classes are offered in three hour blocks for a total of six hours per day. Currently classes are from 9am to 12pm and 1pm to 4pm. In year 3 of the program students have approximately 21 hours of class per week (typically three and a half days between Monday and Friday). Students begin to work with patients in the onsite naturopathic medical clinic as secondary clinic interns. Students typically have clinic schedules of between 8 and 12 hours per week. In year 4, students have12 hours (typically two days) per week of academic classes, and approximately 20 hours of clinical shifts as primary student clinicians. How many hours of homework can I expect per week? Students can expect an average of 30 hours per week or more. Do you offer student housing? There is no student residence at the Boucher Institute. The campus is located at the Columbia skytrain station. Students have easy access to campus from any neighbourhood along the skytrain route. Several months before matriculation, the Admissions Department sends out a New Student Guide and a Housing Guide with information on transportation and surrounding communities. Will the Boucher Institute diploma enable me to work in any jurisdiction? Students are responsible for ensuring their own licensure through the jurisdiction in which they wish to ultimately practice Naturopathic Medicine. Take a step towards your future today. Learn more about our application process. You love health and wellness, are passionate about helping people, and would love to create a freedom-based lifestyle. © 2019 Boucher Institute of Naturopathic Medicine.